Bell’s contribution not only started the revolution of quantum technologies, leading to the development of the quantum information theory, quantum computing, quantum cryptography, quantum teleportation, etc., but indirectly he also motivated a reconsideration of Bohm’s approach. This is mostly conventional wisdom, but I disagree with a couple of details. The quantum world is not essentially probabilistic. What does not make sense is asking about observations that have not been performed. You can think about speculation about unmeasured variables as "going beyond probabilities", but I would not put it that way. The word "revolution" seems to be used here in the Kuhnian sense of not being a scientific advance, but enable some sort of paradigm shift. There is an industry pursuing quantum info, computing, crypto, and teleportation, but nothing has come of it. Bohm's work is also wildly overrated, possibly because he was a Commie fellow traveler. Chapter 2 of Feynman’s renowned Lectures on Physics starts as 13 “In this chapter we shall tackle immediately the basic element of the mysterious behavior in its most strange form. We choose to examine a phenomenon which is impossible, absolutely impossible, to explain in any classical way, and which has in it the heart of quantum mechanics. In reality, it contains the only mystery. We cannot make the mystery go away by “explaining” how it works. We will just tell you how it works. In telling you how it works we will have told you about the basic peculiarities of all quantum mechanics.” Effectively, the two-slit experiment summarizes the essence (“mystery”) of quantum mechanics. However, like Dirac, Feynman also thought that each individual particle self-interfered, apparently being unaware of Pozzi’s and Tonomura’s experiments on the two-slit experiment. 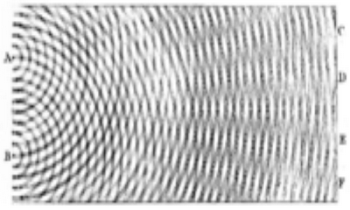 His scientific authority reinforced the Copenhagian viewpoint, but should things have been different if Feynman would have watched Tonomura’s movie 11 of his two-slit experiment with electrons? I think I can safely say that nobody understands quantum mechanics. But this was not an attack on quantum mechanics. What he meant was that he did not have an intuitive understanding of how an electron can interfere with itself inn the two-slit experiment. Arguments about interpretations continue. 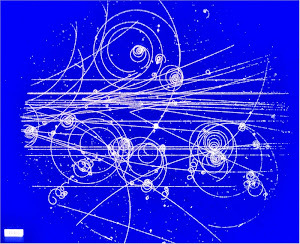 Carlo Rovelli gives An argument against the realistic interpretation of the wave function, and just a few days later, H. Dieter Zeh posts a rebuttal. They each have their own peculiar interpretations that they push. Computer science lacks pragmatism enough! Investigate Feynman's 'clock turning' method. Yes there is an actual underlying mechanics to QM, but he certainly didn't know what it was. The difficulty is that so many assumptions have been stacked on top of so many hazy 'interpretations' that there is no answer possible inside the mainstream. When paradoxes and contradictions are casually accepted and run rampant in your formulations you need to start backing up and start to ask where you went wrong.